From the Opera browser, go to Settings > Advanced > Browser. 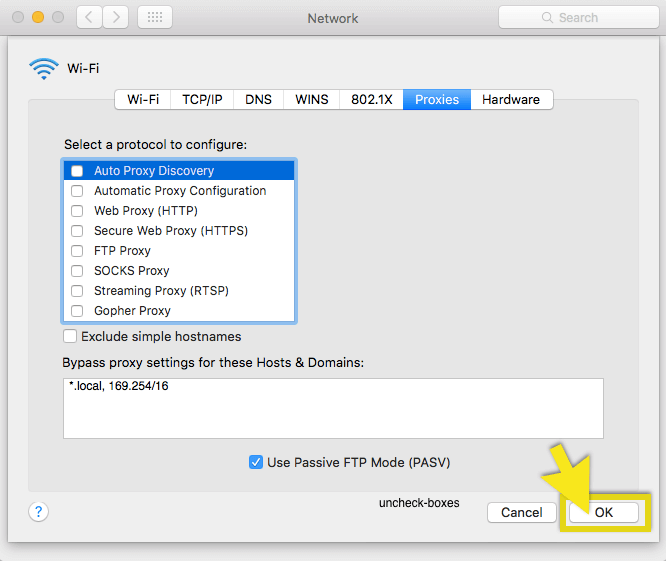 Scroll down to System and select Open proxy settings. 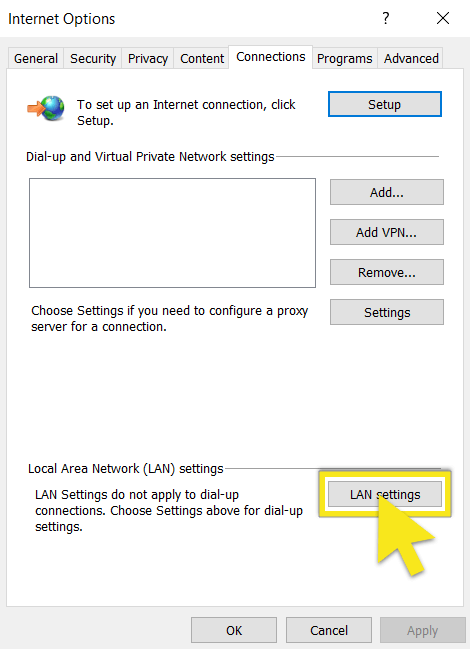 In the Connections tab, click on LAN settings. 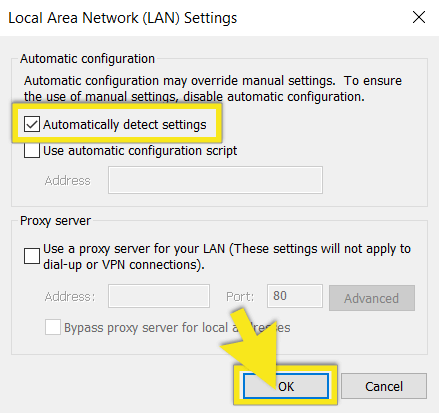 Uncheck all of the displayed options besides Automatically detect settings. In the Proxies tab, uncheck any ticked boxes. Click Apply Now if you made any changes. 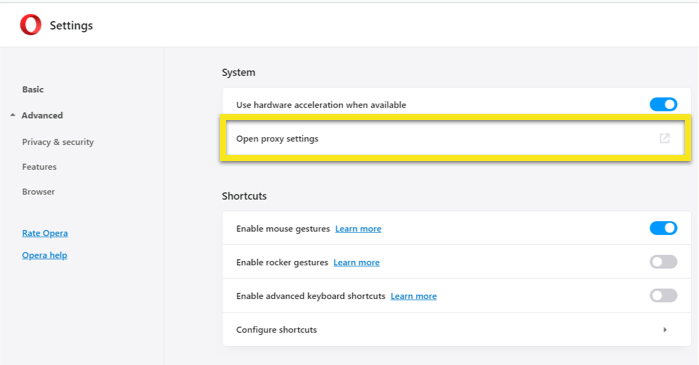 Click OK and close any open boxes to save your settings.